William Ruh is the chief executive officer for GE Digital as well as the senior vice president and chief digital officer (CDO) for GE. GE Digital, a $6B business of General Electric, provides premier digital software solutions and services for the industrial world. GE Digital supports customers globally with a broad range of Industrial Internet applications, from asset performance management, operations optimization and brilliant manufacturing to platform-as-a-service, cloud and cybersecurity. As the CDO, Ruh is responsible for global IT as well as creating GE’s Digital Thread, a next-generation system for streamlining design, manufacturing and support processes. Ruh joined GE in 2011 to establish its Industrial Internet strategy and to lead the convergence of the physical and digital worlds within GE globally. In this role, he focused on building out advanced software and analytics capabilities, as well as driving the global strategy, operations and portfolio of software services across all of GE’s businesses. During his tenure, Ruh led the charge to develop the first cloud-based platform for the industrial world. He also played an instrumental role in establishing the Industrial Internet Consortium by bringing together government, academia and industry leaders for setting the standards, best practices and processes for the Industrial Internet. Prior to this, Ruh was vice president at Cisco where he held global responsibility for developing advanced services and solutions. A 30 year veteran of the software and Internet industries, Ruh has held executive management positions at Software AG, Inc., The Advisory Board, The MITRE Corporation and Concept 5 Technologies. Ruh is an accomplished author and a frequent speaker on such topics as emerging business models, cloud computing, analytics, mobile computing, agile development, large scale distributed systems and M2M communications. He earned a bachelor’s and master’s degrees in computer science from California State University, Fullerton. Dr. Uday Kamath serves has chief analytics officer at Digital Reasoning. Kamath has spent more than two decades developing analytics products and combines this experience with learning in statistics, optimization, machine learning, bioinformatics and biochemistry. Senior roles, including that of chief data scientist for BAE Systems Applied Intelligence, have seen him apply analytics to challenges in compliance, cybersecurity, banking fraud, anti-money laundering and insurance. Kamath has contributed to many journals, conferences and books. He is the author of Mastering Java Machine Learning and has Ph.D. in Big Data Machine Learning and Automated Feature Generation. 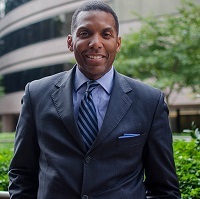 Rodney L. Lusk is director of the National Marketing Division for the Fairfax County Economic Development Authority. Lusk coordinates the efforts of the National Marketing team which promotes Fairfax County as a prime expansion location for tech companies. He supports firms that are proposing to grow their operations in Fairfax County, and coordinates incentive and relocation packages for firms considering headquarters relocation. Some of National Marketing’s corporate relocation/expansion wins include Hilton Hotels Worldwide, Navy Federal Credit Union and Amazon Web Services. Previously, Rodney was land use aide to Gerald E. Connolly, an elected official in Fairfax County. 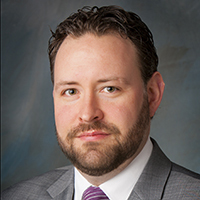 Lusk is co-chair of NVTC’s Big Data and Analytics Committee, Governing Board member of the Committee to Prevent and End Homelessness, and Board Member of the Committee for Dulles. Patrick Kerins joined NEA in 2006 as general partner focusing on technology investments, particularly SaaS, digital media, mobile technology and Internet companies. He is a director of BedRocket Media, Buzzfeed, GumGum, Spring Mobile Solutions, TrackMaven, TravelBank and Videology; previous board positions include ChannelAdvisor and Millennial Media. 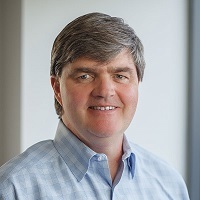 Prior to NEA, Kerins was general partner of Grotech Capital Group and served on the boards of Advertising.com, CDnow, Fieldglass Software and SALIX Technologies. Previously, Kerins spent 10 years at Alex. Brown & Sons as an investment banker. He also served as an Officer in the U.S. Navy on the staff of Admiral H.G. Rickover at the Headquarters of the Navy’s Nuclear Propulsion Program. Kerins is Chairman Emeritus of the Mid-Atlantic Venture Association. He received an MBA, with Distinction, from Harvard Business School and a B.S. from Villanova University. Dr. Onur Seref is an associate professor of Business Information Technology in the Pamplin College of Business at Virginia Tech. 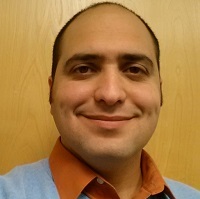 Seref received a Ph.D. in operations research from the University of Florida and an M.S. and B.S. in industrial engineering from the Middle East Technical University in Ankara, Turkey. His primary research interests involve developing novel methods for text mining and analytics, combinatorial and nonlinear optimization methods in data mining and machine learning with applications in biomedicine, and network optimization theory. He is a faculty member of the Center for Business Intelligence and Analytics at Virginia Tech, and past chair of INFORMS Data Mining Section. John Eberhardt is chief technology officer and chief scientist of ATA, LLC. Eberhardt has 20 years’ experience in data science and analytics, managing teams of scientists and engineers to rapidly create customer-centered analytical solutions. Eberhardt has developed over 20 analytical solutions in clinical decision support, cybersecurity, molecular diagnostics and risk management, including award-winning healthcare quality applications. 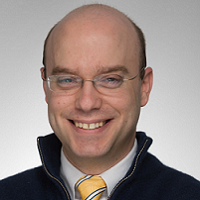 With one patent and five patent applications in process, and over 45 publications and speaking engagements, Eberhardt is a thought leader in advanced analytics with experience in machine learning, statistical algorithms and user interface design for decision support in security, healthcare, financial services, life sciences and consumer products. Prior to ATA, LLC Eberhardt was founder, partner and chief scientist of 3E, and founder and chief scientist of DecisionQ Corp. Eberhardt is an adjust professor in the Volgenau School of Engineering at George Mason University. Nathan Self is a research associate in the Department of Computer Science at Virginia Tech and a member of Virginia Tech’s Discovery Analytics Center (DAC). 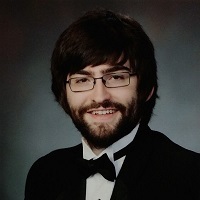 Self worked for a number of years in industry before joining DAC as a graduate assistant working on interactive visualizations for the EMBERS event forecasting project. He is now working on custom visualization interfaces for DAC projects. Self received a bachelor’s degree in computer science from the College of William and Mary and a master’s degree from Virginia Tech. David Link has taken ScienceLogic from a local startup to a global award-winning technology. With more than 20 years’ experience in the service provider and IT management industry, Link built ScienceLogic into one of the fastest growing technology companies in the world. From the start his vision for ScienceLogic has been to enable the industry to embrace a smarter way of managing complex IT environments. 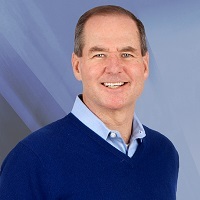 Link previously served as senior vice president and a corporate officer at Interliant, where he helped establish the company’s strong presence in the ASP/MSP market. He also held senior management positions within IBM’s Software Division, leading the development of Internet commerce products, and with CompuServe, building global online communication solutions for businesses and consumers. He holds a bachelor of science degree from Denison University. David Gagliano serves as CTO for the Global Solutions Division of General Dynamics Information Technology and brings over 30 years of experience leveraging cutting-edge and disruptive technologies to effect transformational business change. 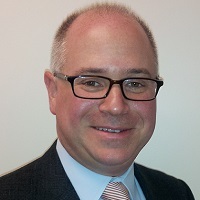 Gagliano leads GDIT’s Advanced Software Solutions and Big Data Analytics Centers of Excellence (CoE), providing thought-leadership in emerging technologies that include Internet of Things (IoT), AI/machine learning, big data management/governance, analytics and visualization, software defined networking, services automation, application container orchestration, micro-services, and cloud-native software modernization. 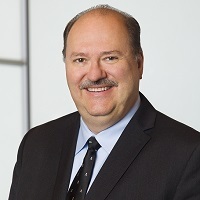 Before joining General Dynamics, Gagliano served as HealthCare CTO within MAXIMUS Federal’s Strategy and Solutions group and as director of customer solutions within Cisco’s Business Transformation and Smart+Connected Communities programs. Prior to Cisco, he served as CTO and technical fellow at Northrop Grumman Mission Systems. 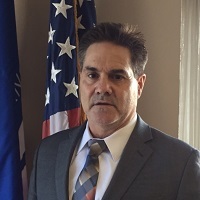 Gagliano received his Bachelor’s degree in Computer Science from Ohio University and a Master’s degree in technology management from George Mason University. Arief Bavan is currently working as a Solution Architect at Microsoft. 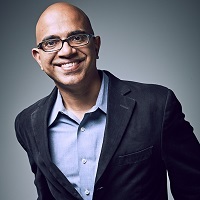 In this role, he’s part of a Customer Success Unit group, assisting different industry verticals from system integrators to media/hospitality/construction in building advanced analytics solutions with respect of IoT, big data, and machine learning leveraging Cortana Intelligence Suite and Serverless Computing Platform on Azure. He’s passionate about Blockchain and its promise to transform the ways in which people and business cooperate. Previously Bavan worked for BAE Systems and led a development team over a period of 12 years architecting and building solutions for Federal Clients from Web/Mobile to Big Data Solutions leveraging distributed computing such as Hadoop and ML. He obtained a Masters of Business Administration in the field of Information Technology from Hofstra University and Bachelors of Engineering from University of Mumbai (India) majoring in Electronics and Telecommunication. Isaac S. Cronkhite was named vice president, Enterprise Analytics, in May 2016. In this role, he is responsible for leveraging data and technology to provide the business intelligence needed to drive performance and improve efficiencies through enterprise reporting and performance measurement systems. Cronkhite will lead the Postal Service innovations in technologies and tracking systems, overseeing scanning improvements and the integration of network information visibility systems, including the national address management system. Cronkhite’s business acumen and experience will be assets in his new position. He joined the Postal Service as an industrial engineering professional specialist trainee in 2004. 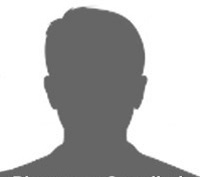 He has held the positions of operations industrial engineer, Boston, Massachusetts; manager, In-Plant Support, Northwest Boston, Massachusetts; plant manager in Brockton, Massachusetts; and senior plant manager in Richmond, Virginia. Cronkhite leveraged improved data analytics to drive field performance, while serving as manager, Processing Operations, at Postal Service Headquarters in Washington, D.C.
Cronkhite holds a bachelor’s degree in industrial and systems engineering from Virginia Polytechnic Institute and State University and a master’s degree in business administration from the Massachusetts Institute of Technology, where he graduated in 2015 from the Sloan Fellows Program. Additionally, he is a graduate of the Executive Foundations and Executive Leadership Programs and is a Lean Six Sigma Executive Green Belt. 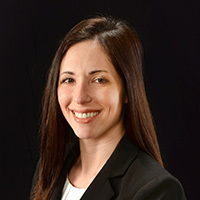 Jennifer Hanna works within the Office of the Chief Information Officer at the U.S. General Services Administration implementing strategic data and information management solutions across the agency. She holds an undergraduate degree from University of Maryland, College Park and a graduate degree in Information Systems from the University of Maryland Baltimore County, School of Engineering. 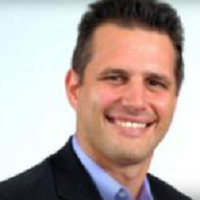 Tantus Enterprise Solutions Architect Tim Perez is the former Federal Aviation Administration’s (FAA) deputy director for Solutions Delivery. At the FAA, Perez oversaw 155 federal and over 350 contractors, and was responsible for the requirements, planning, development and sustainment of almost 700 FAA mission-critical and business systems applications. His directorate also led the development and implementation of DevOps along with the application migration strategy for cloud. Prior to joining the FAA in 2010, Perez served in several roles at the U.S. Post Office, concluding as the acting national real estate manager. Perez recently joined Tantus Technologies as the enterprise solutions architect. Tantus is an IT and management consulting firm based in Arlington, Va. Tantus’ goal is to aid government agencies in finding the solutions and technologies they need to exceed mission goals. Ben Snively is a specialist principal solutions architect for the Worldwide Public Sector of Amazon Web Services, where he specializes in big data, analytics, AI and machine learning. Previously, Snively was a chief architect and chief software engineer on various Department of Defense, IC and federal contracts, where he worked with Hadoop and big data solutions. Snively has over 13 years of experience creating intelligent and analytical systems. Snively holds both a bachelor’s and master’s degree in computer science from Georgia Institute of Technology and a master’s in computer engineering from University of Central Florida. Alan Halachmi is a senior manager of Solutions Architecture for the Worldwide Public Sector of Amazon Web Services (AWS). Halamachi leads a team of specialist solutions architects supporting public sector customers. These specialists provide expertise in domains such as geospatial information systems, high performance computing and machine learning. Halamachi supports public sector organizations across the globe in the areas of networking and security. He participated in the development of the Solutions Architect – Associate, Solutions Architect – Professional, and Advance Networking – Specialty exams. Additionally, Halamachi has authored multiple AWS whitepapers that focus on the intersection of networking and security. Prior to joining AWS, he worked in various leadership positions focused on homeland protection and identity systems at both established and start-up companies in the private sector. Halamachi holds a degree in network communication and information security from Duke University. Previously, Halachmi served as the vice president for engineering at MorphoTrust, USA. He was responsible for delivering next-generation identity solutions to federal, state and local agencies. His organization developed platforms that processed over 3 million biometric transactions annually across 1,200 service locations worldwide, supporting programs such as TSA Precheck, Transportation Worker Identification Credential (TWIC, and the Hazmat Endorsement Threat Assessment Program. Before joining MorphoTrust, Halachmi worked in various positions focused on homeland protection and identity analysis. He spent time as the director for Systems Engineering at CLEAR Registered Traveler, providing daily service to over 170,000 active customers. Halachmi also worked for IBM, where he supported the Transportation Security Administration on programs such as Secure Flight. 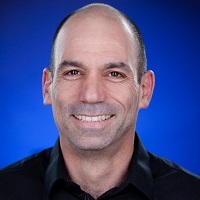 Dan Orbach serves as cloud customer engineer at Google. Orbach’s over 30 years of experience includes systems, networking, security, voice /VoIP, contact centers, unified communications and collaboration. More recently, his focus has been on cloud technologies, specifically, data analytics, artificial intelligence and machine learning. Prior to Google, Orbach worked at several prestigious consulting firms; the U.S. Holocaust Memorial Museum as deputy director of tech services; BurningTree Technologies as CTO and co-founder; Apptis as engineering manager; and Microsoft as Lync/Exchange technology specialist. Orbach’s certifications include Cisco Certified Internetworking Expert (CCIE), Certified Information System Security Professional (CISSP), Microsoft Certified Systems Engineer (MCSE), Google Certified Professional – Cloud Architect and Google Certified Professional – Data Engineering. Orbach graduated in computer science and statistics from the University of South Africa. Claire Walsh has spent almost 25 years working in the world of data. Having worked in both technical consulting and internal IT leadership roles, Walsh advocates for an equalized approach to analytics delivery – balancing solutions that people love to use and that IT can easily keep running (and evolving). A versatile IT leader, Walsh has managed, developed and launched analytics technology solutions for Fortune 500 companies and visible federal agencies. She currently leads a team of passionate data experts at Excella Consulting in Arlington, Va., who serve commercial, federal and not-for-profit clients. Phil Coachman has been working in big data and machine learning since 2008 when he was part of the team at Microsoft that built Bing. Over the last decade he’s worked on a variety of teams including MSN, Windows 10 and Xbox. Most recently Coachman has been working with Microsoft customers to help them build their big data architectures and apply machine learning. Coachman also runs the Pittsburgh Data Science user group and is an active speaker in data and AI.